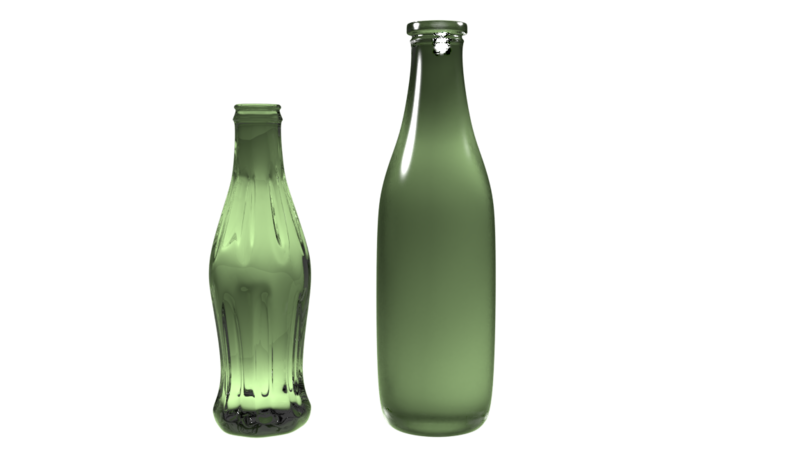 Cant figure out why the rendered image has a large black and white artifact (on the bottle on the right)? This is the blender file. That big error on the top is caused mostly by Fireflies and how the denoiser works. The denoiser has a hard time dealing with small bright elements surrounded by darker pixels, as is the case with fireflies, and creates new artifacts instead. For other examples see: How to properly denoise renderings? Or get you can get rid of the denoiser completely and use some clamp indirect to control the fireflies. But you can also avoid those hot spots and fireflies if you change the lighting on the scene. They will be reflected as bright shiny points on the surface and are more likely to cause fireflies. If you use large area lights fireflies are less of a problem. Here's the same scene at 600 samples, no denoising and no clamp indirect. Other advise. Try to avoid high levels of subdivision (like you have in the plane used as the background). You are generating a very large number of unnecessary vertices by setting the subdivision to 6. Very rarely you would need more than 3. Read: Blender render crash when using subsurf modifiers. 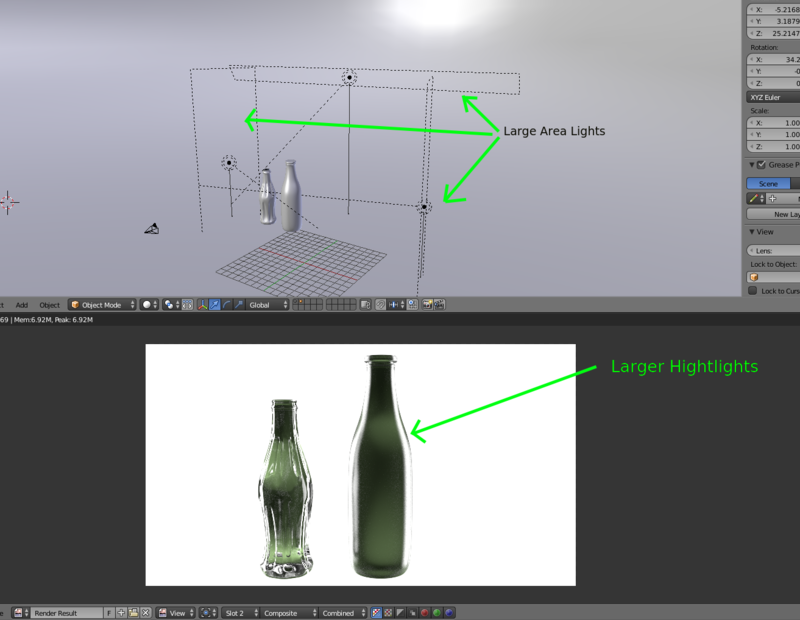 Last piece of advise: Try to make your objects to the size they would be in the real world. Your bottles are larger than a house at 9m tall. It makes a difference in terms of the size and intensity of the lights (and if you are going to do any kind of physics or fluid simulation), and also in terms of the depth of field on the camera. Why does an object with a glossy shader render in black? Blender render crash when using subsurf modifiers. Why are my videos rendering in black and white? Why don't the freestyle lines show in the rendered image? Some textures appearing white when rendered? Why is my animation render all white? Why does my scene lose color when i zoom in rendered viewport?